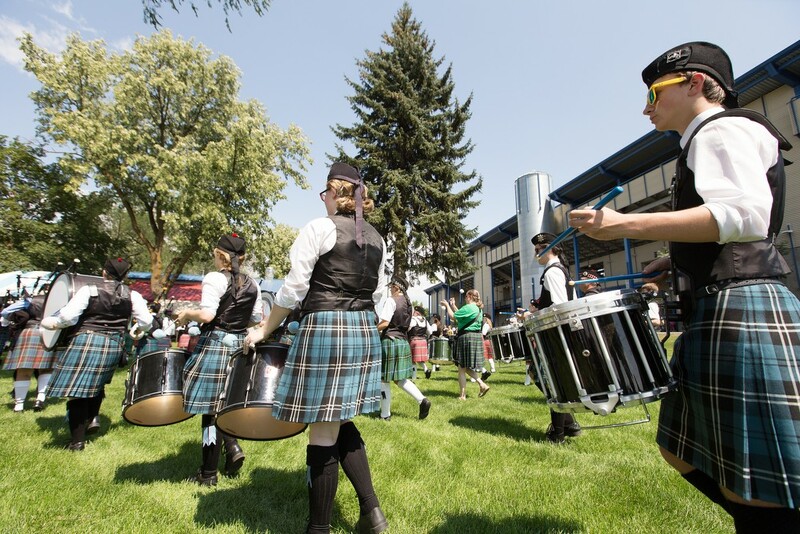 The 58th annual Spokane Highland Games brought together athletes competing in the caber toss, the hammer throw and weight above a bar, among others. 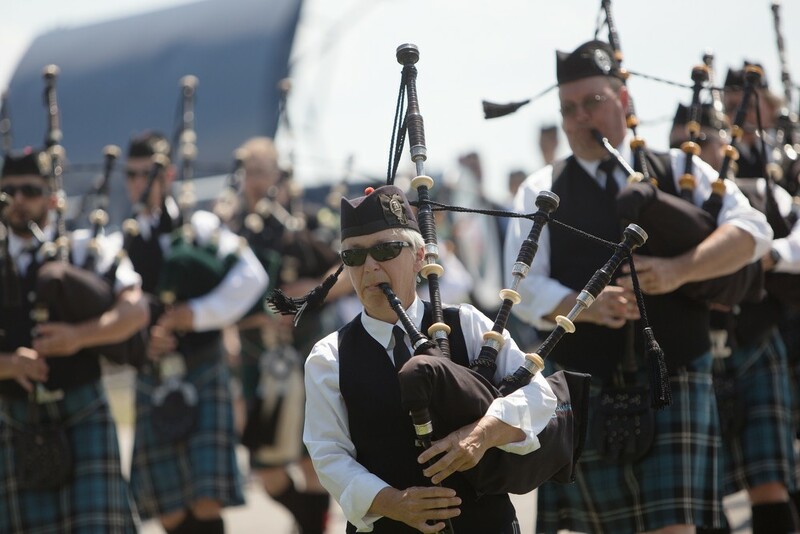 Clans set up tents to display their history, bag pipes welcomed visitors and the ever-present haggis was available to sample. 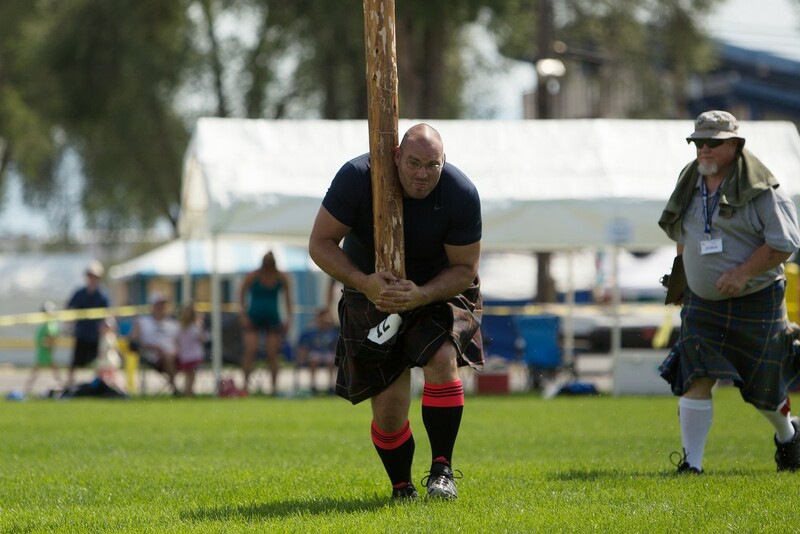 Cory Frazier, from Tacoma, Wash., walks with a caber during the men's amateur A & B competition. 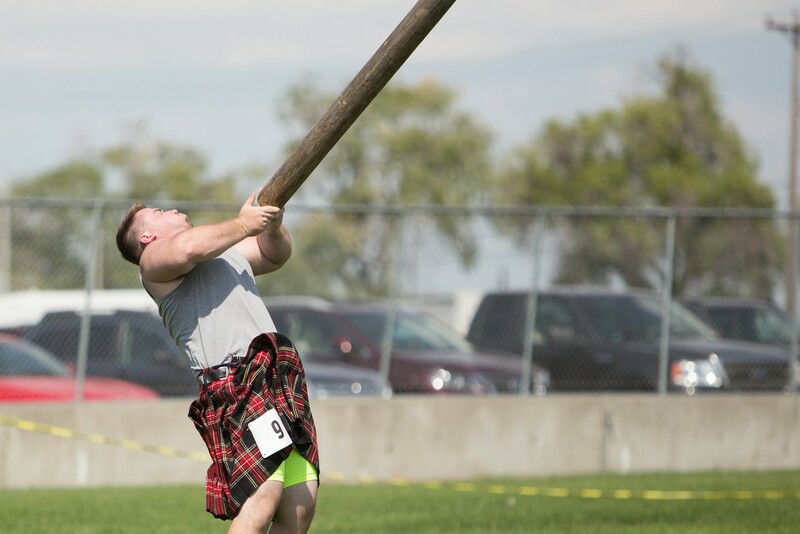 Jacob Masterson tosses a caber during the men's amateur A & B competition. 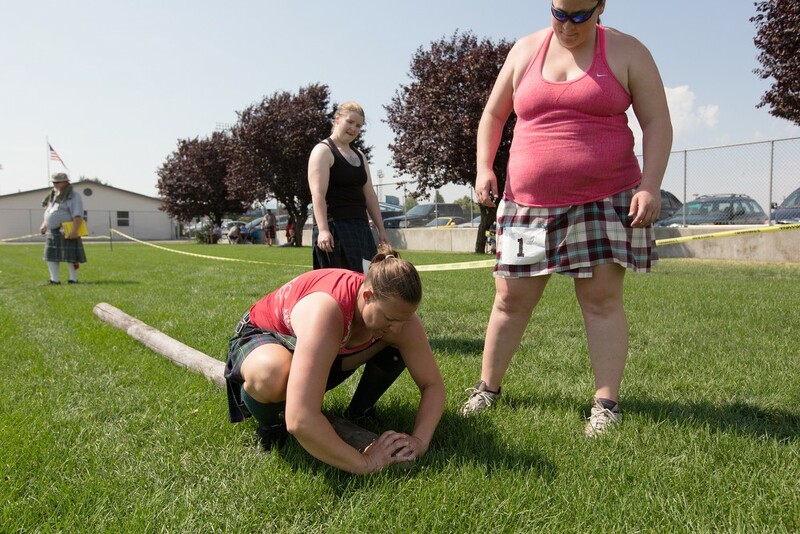 Maisie Walters, left, from Everett, Wash., shows proper caber toss technique to Spokanites Sandra Willmann, right, and Allison Hawn during the women's amateur A & B competition. 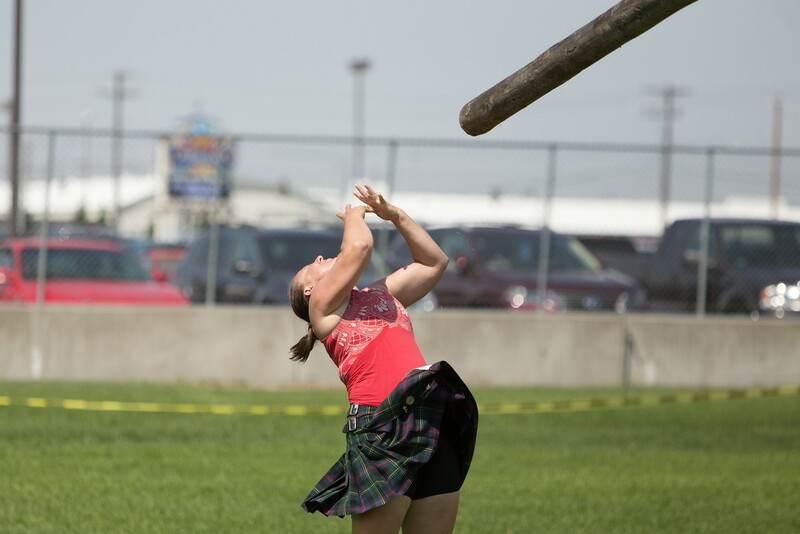 Maisie Walters, from Everett, Wash., tosses a caber during the women's amateur A & B competition. 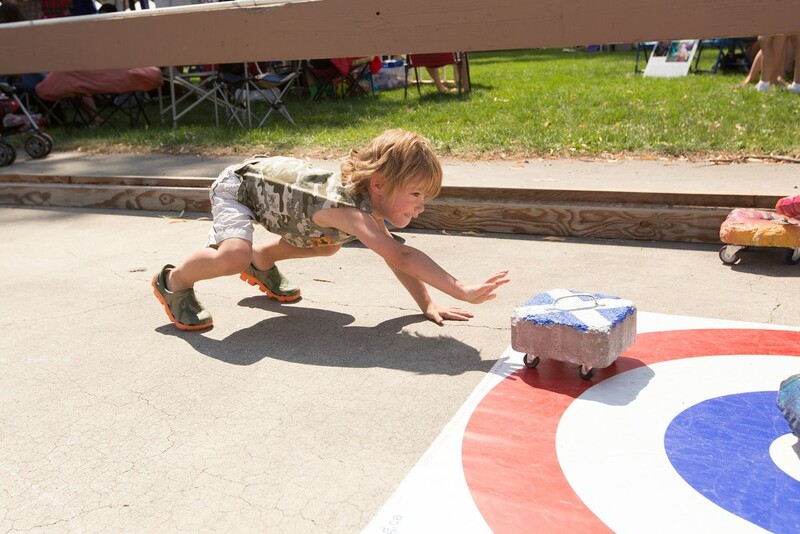 Four-year-old Malachi Begg Gilstrap curls. Drum Major Dayna Wilkinson marches during the opening ceremonies. 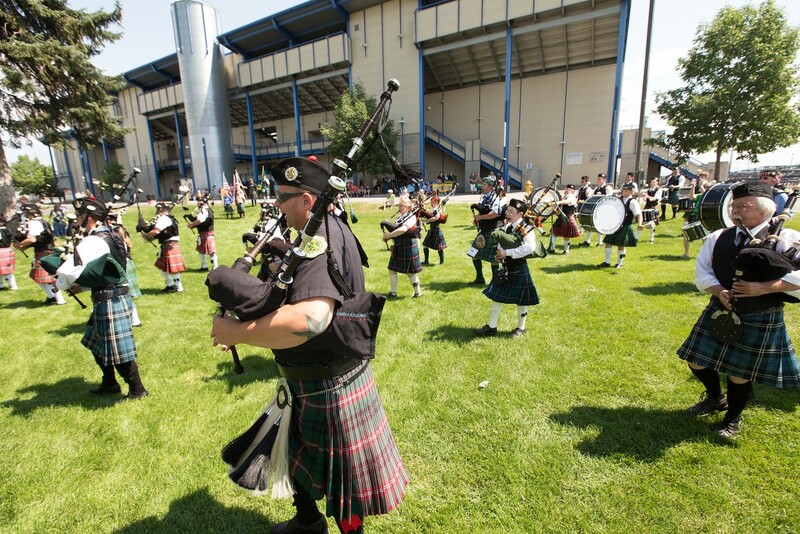 Spokane County Firefighters Pipes & Drums member Nate Brown, front, performs during the opening ceremonies. 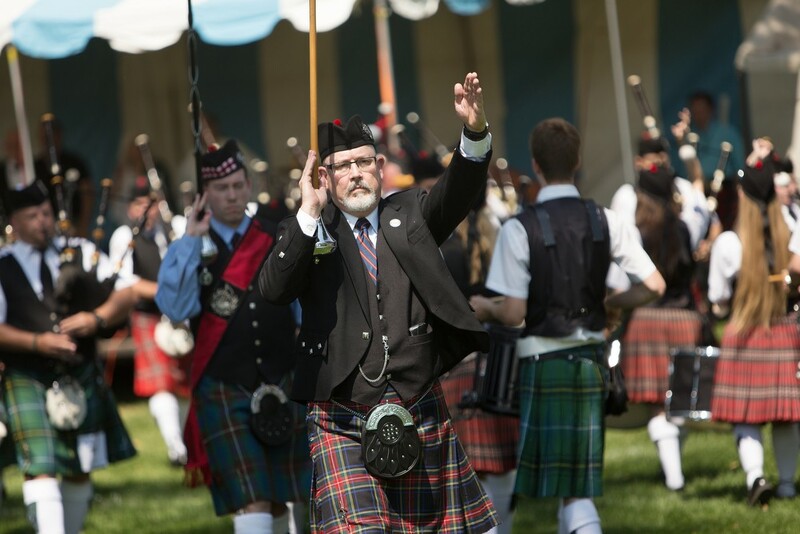 Columbia Regional Pipe Band member Chris Nickerson, right, performs during the opening ceremonies. Drum Major Warren Mays, front, marches during the opening ceremonies. 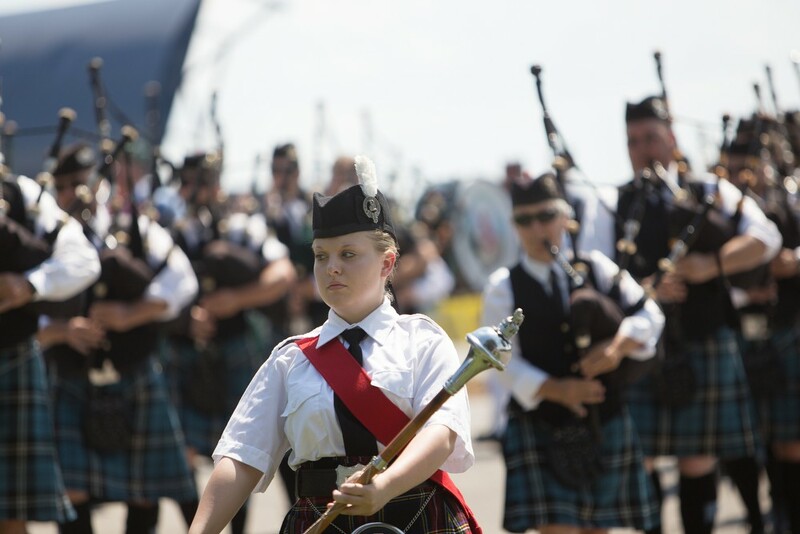 Columbia Regional Pipe Band member Judy Morrison, front, performs during the opening ceremonies. 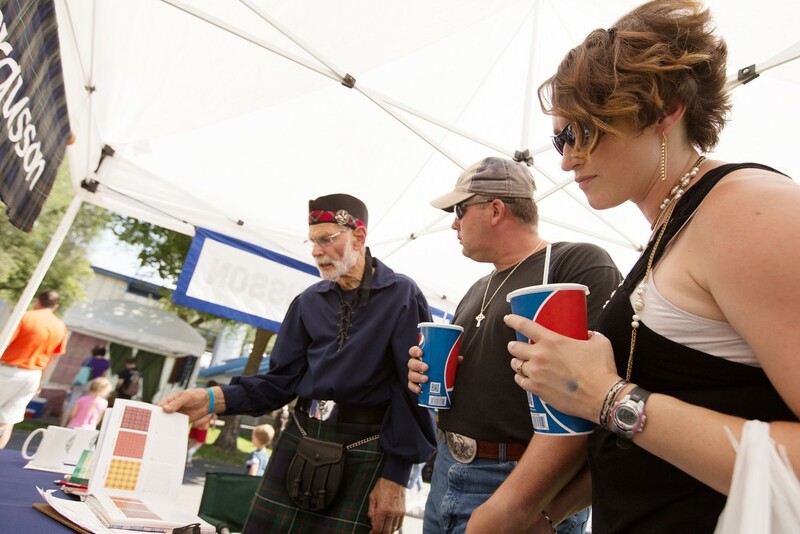 Dan Ferguson, left, shows a book of tartans to Dan, center, and Laci Murdock at the Clan Fergusson tent. Dan Murdock was looking for his family's tartan. 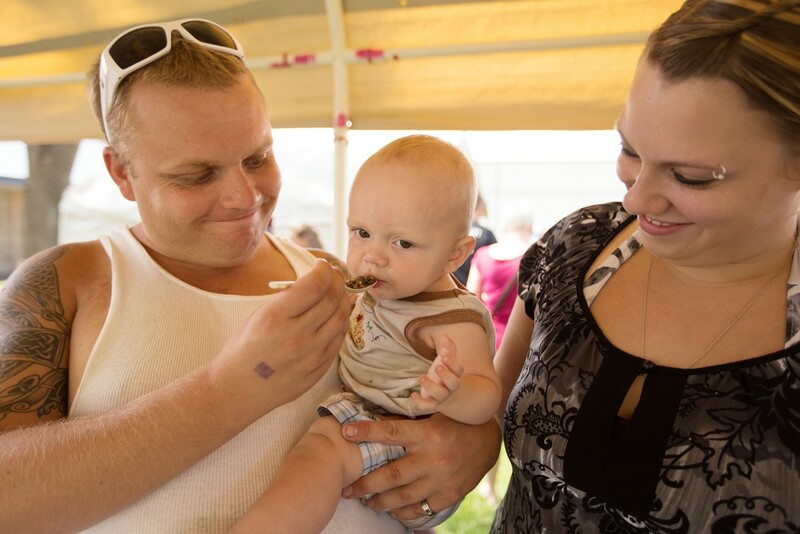 John Inglis, left, feeds his 10 month old son John Jr., haggis as his wife Amanda looks on. 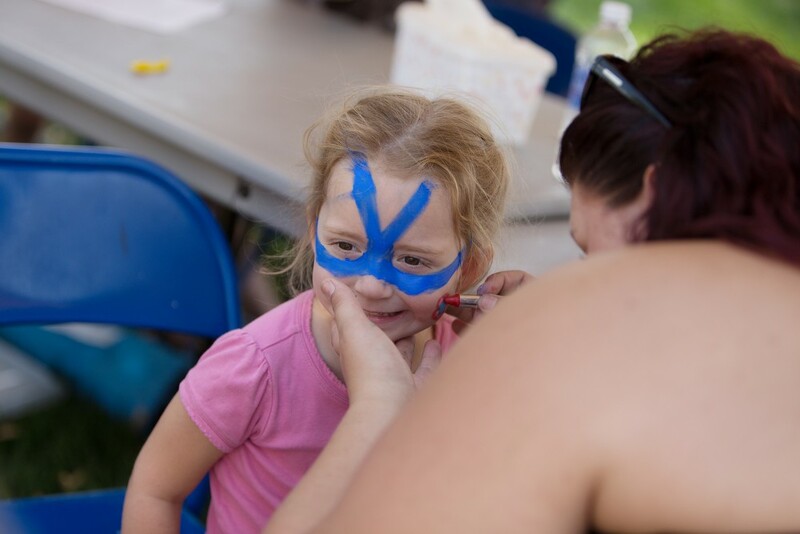 Stephani Henne, right, paints Kiera Mangis' face. 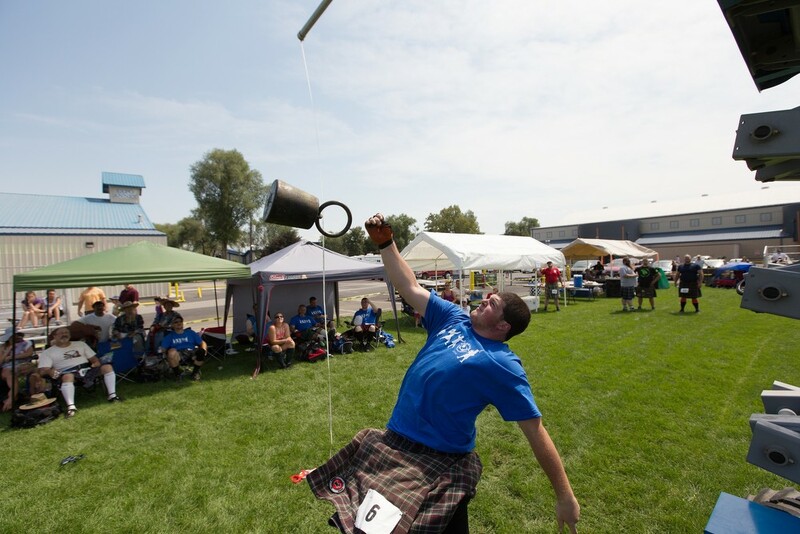 Kobie Hamm, 17, from Sandy, Ore., attempts a weight over a bar during the men's amateur A & B competition. 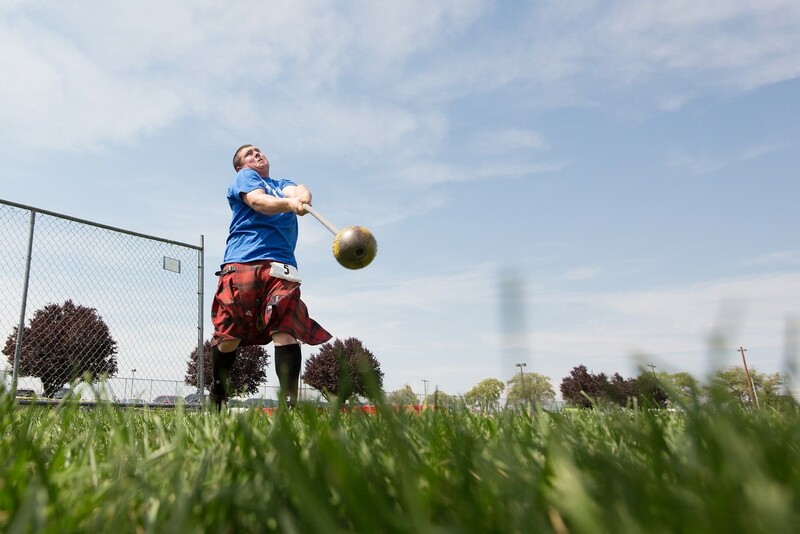 Nick Hamm from Sandy, Ore., throws a hammer during the men's amateur A & B competition. 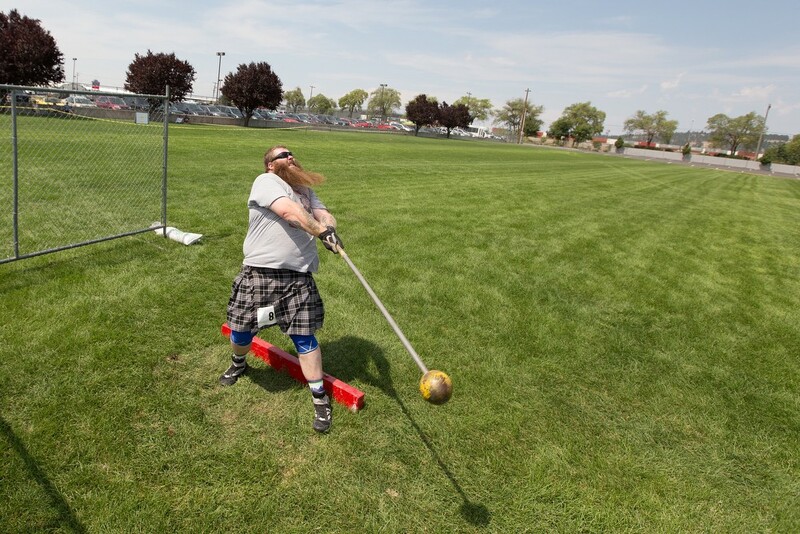 Roger Moon, from Tacoma, Wash., throws a hammer during the men's amateur A & B competition. 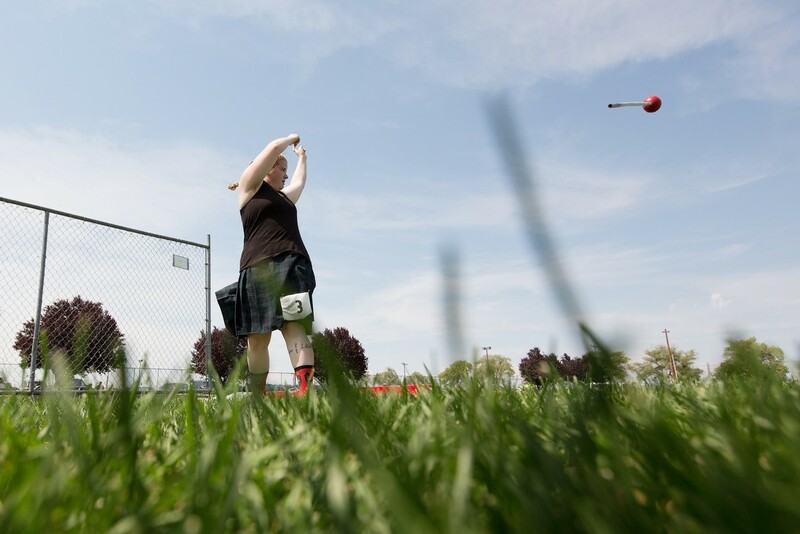 Allison Hawn, from Spokane, Wash., throws a hammer during the women's amateur A & B competition. 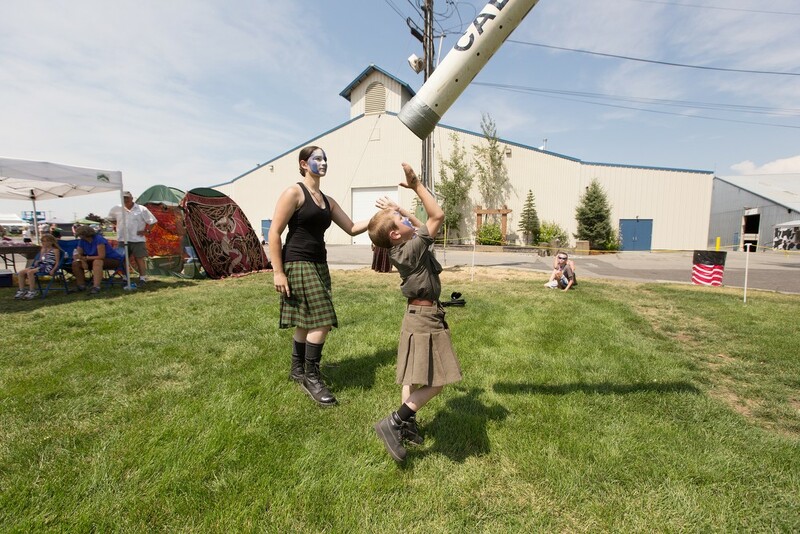 Six-year-old Connor McKinney, center, throw a caber as Sabin McKinney looks on. 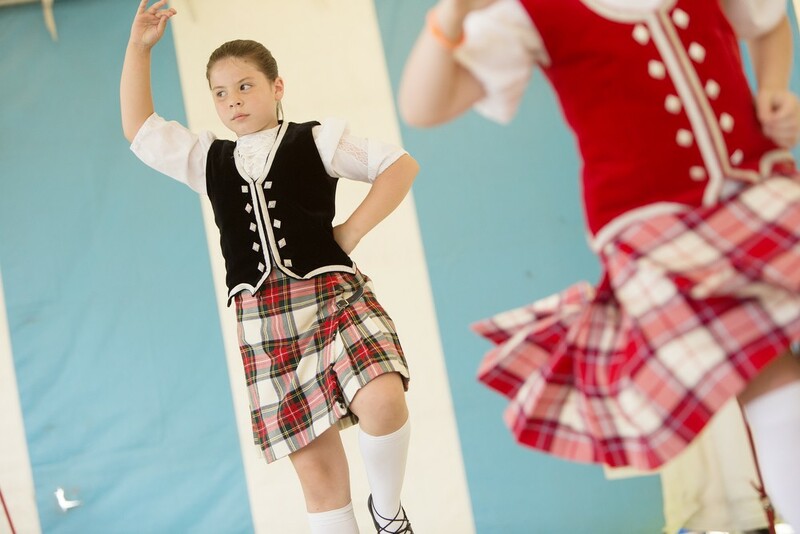 Eight-year-old Gabrilla Van Inwegen, left, and 9-year-old Elizabeth Darjany dance the Highland Fling. 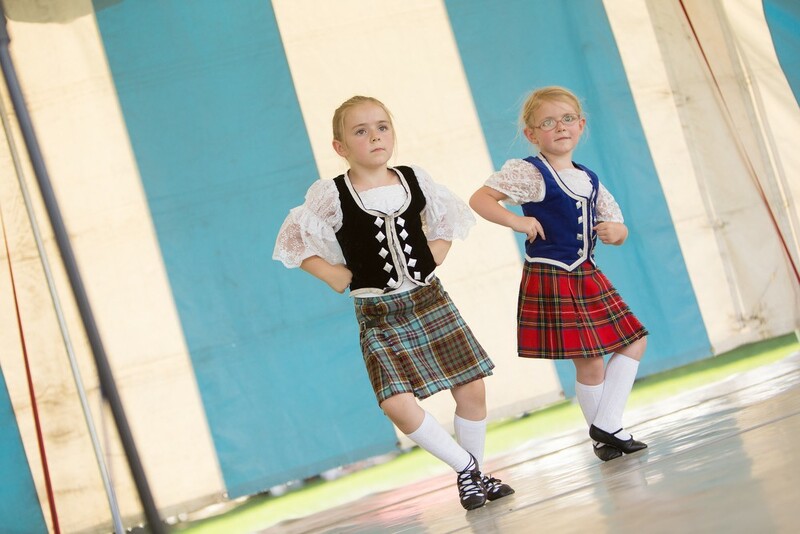 Five-year-old Londynne Stratton, left, and her 4-year-old sister Keegan dance the Pas de Basques and High Cuts. 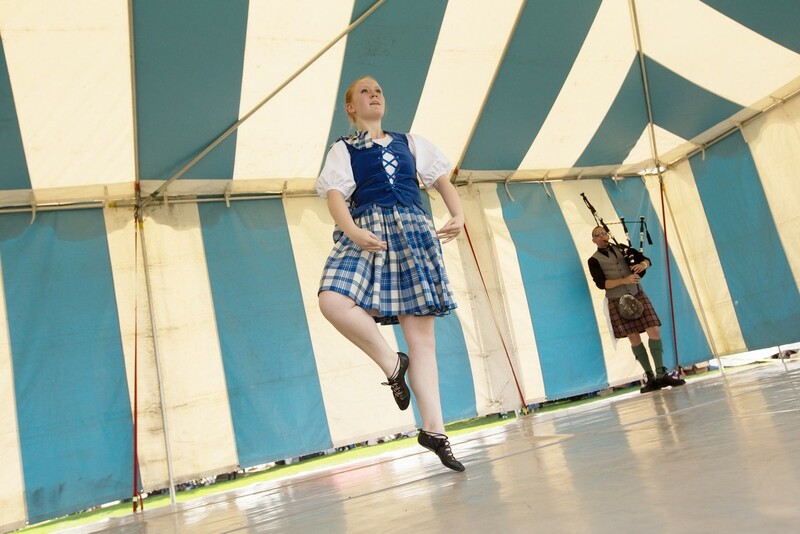 Dance student instructor Emily Fields dances the Blue Bonnets.